Thanks to Jodi for telling me about Food 52! 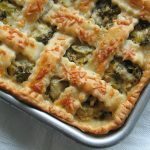 – this is one of the first recipes I spied as I was checking out the blog and it’s terrific – enjoy! Preheat the oven to 350. Roll out your pastry as you would and press it into a 9-inch fluted tart or quiche pan with a removable bottom, trimming the edges so that the pastry is flush with the pan – I happened to have a tart pan, but I feel that a regular pie plate would also work (and I think a store-bought shell could also be used). Put all of the filling ingredients into your food processor (or blender) and blend until the mixture is smooth. Pour it into your prepared pastry and bake for about 40 minutes until the middle is just set. I carefully tented the whole tart for the last 10 minutes of baking time to make sure the crust didn’t get overly brown. 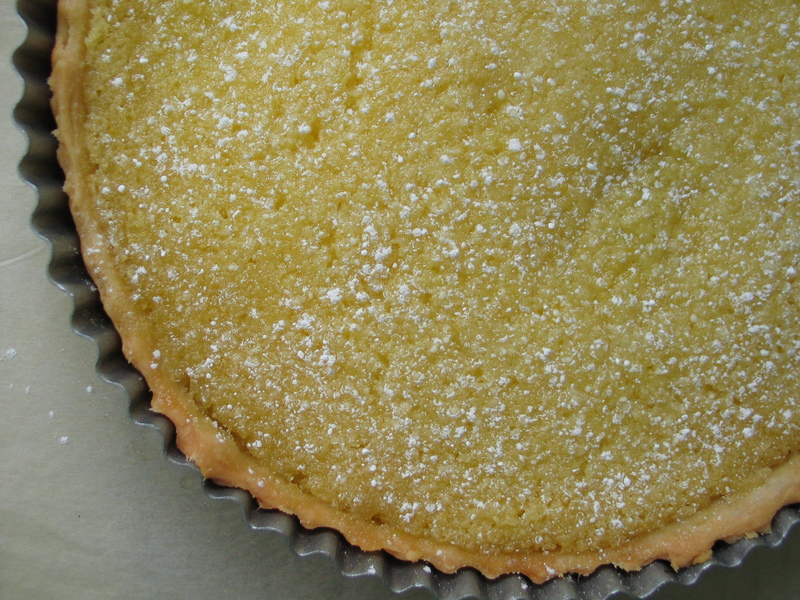 Allow the tart to cool completely if you’d like to remove it from the pan (this was actually, shockingly easy to do), sprinkle it liberally with icing sugar and dive in!